With ‘best in class’ margins for general contractors being measured in single digit percentages, the need to secure the tendered margin is paramount for continued trading let alone growth. And let’s be careful here… margin is not profit – margin includes a contribution to profit. Profit is only earned after overheads, in other words, the cost of running the business, has been secured. 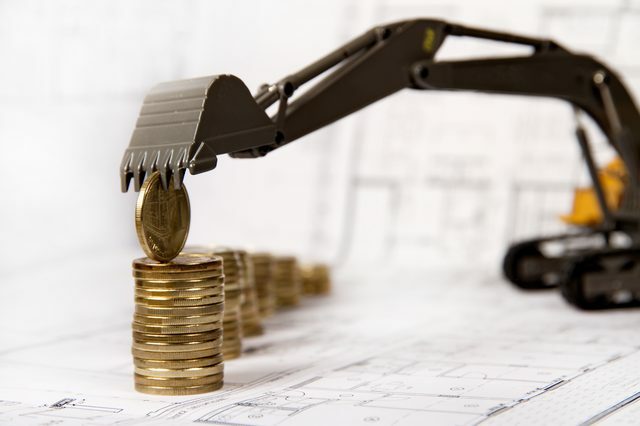 In the best run construction businesses overheads are likely to be in excess of 4%, meaning that the head room in the margin built into a tender will not be considerable. Little wonder then that the propensity for projects to fail to deliver a profit contribution is widespread. In preparing a properly considered bid, even in competitive circumstances, which has any prospect of being successfully delivered, it would not be unusual to include sums for design contingency, latent defects allowance, design development contingency, procurement, increased costs and the like. Clearly, the need for any or all of these will vary depending on the risk apportionment of the particular procurement route, supply chain relationships and contract form. By ‘successfully delivered’ I mean that the contracted obligations will have been met and the intended margin will have been secured. Margin delivery strategies should enable management, meaning both operational and commercial, to identify where margin is earned, opportunities for enhancement through efficiencies and innovation and enable controlled expenditure of budget allowances against intended cost headings. Cost/value reporting systems should be pro-active management tools for tracking and forecasting final outcomes, not journalistic recordings of after-the event expenditure. A barrier to successful project delivery, in our experience, is the absence of any appropriate mechanism to control expenditure of contingencies and allowances which have been included in the tender for specific eventualities, with the effect that these become exhausted prematurely and the only available resource to deal with those eventualities, should they arise, is the margin. Company or project controls with appropriate hold points and authority levels are required in order to avoid uncontrolled expenditure and margin erosion, leading to a loss making project and ultimately company losses. This enables management at all levels of a business to take informed decisions and to be in control. If you would like advice on how to deliver on your project margin(s), C-Link Partner, Commercial Risk Management, can provide you with support, just visit their page here.